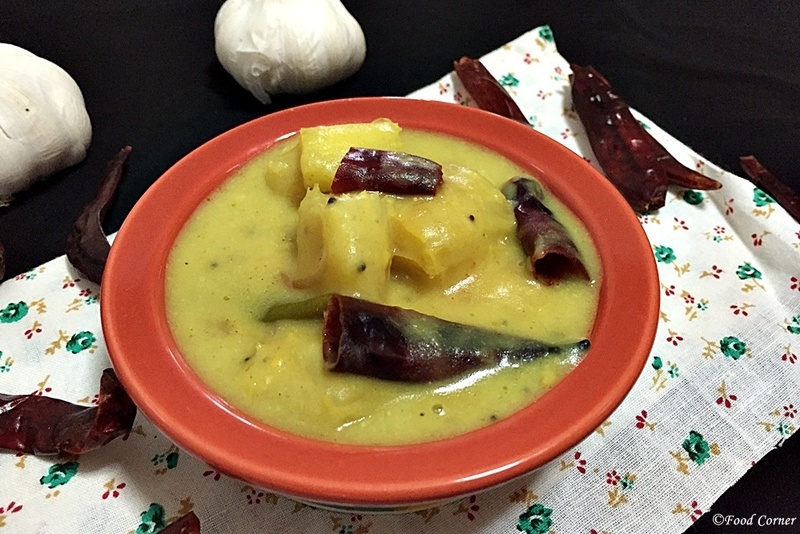 Today I want to share Sri Lankan Tapioca Curry Recipe because in Sri Lanka Tapioca (Manyokka/Kappa) is a popular food item in different recipes. We eat boiled tapioca with grated coconut or coconut sambol. A chili paste is a must to complete this meal. Another method is to cook tapioca in a curry. 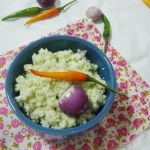 So, today my recipe is about tapioca curry which any Sri Lankan won’t refuse to eat.In Sri Lanka,Tapioca is commonly called as ‘Manyokka’ .So,if you are her to find Sri Lankan Manyokka Curry,here it is. But,before you proceed to read the rest of this post,read this post to find the important tips you need to follow when cook Tapioca to avoid food poisoning. 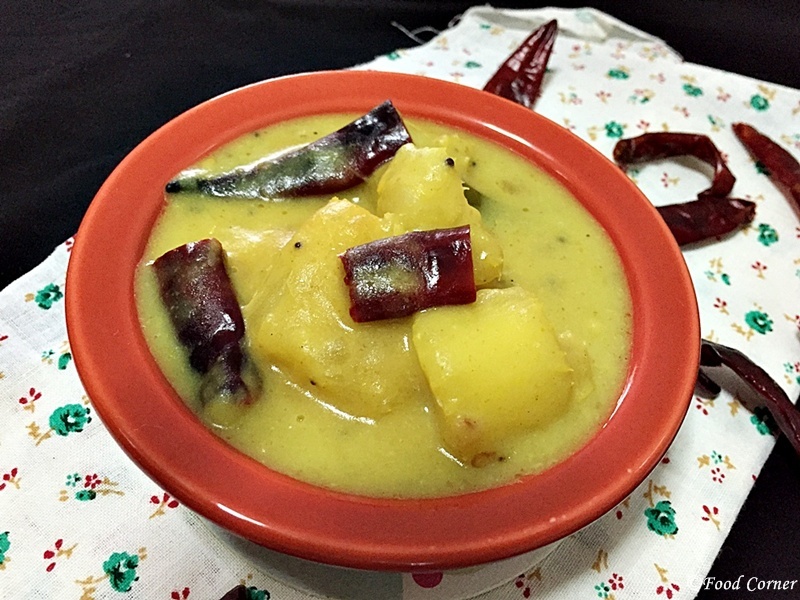 If you find good tapioca that means, if you found fresh tapioca which boil well, I am sure you will end up with a delicious finger licking tapioca curry. I usually don’t use red chili powder for this curry. 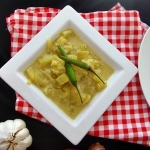 If you’ve noticed, in Sri Lankan recipes you will find some curries with red chili powder and some curries with green chili. By adding different chili, we get curry with different tastes and with different appearance. 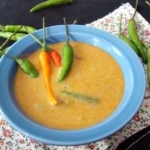 Usually tapioca curry with green chili is mild spicy and also it gives some appealing yellowish appearance which anyone want to eat. Once you cooked the curry, don’t forget the seasoning. Not only seasoning gives aroma and taste, it also gives some delicious and inviting look for your curry. So, add the seasoning and make your family members hungry! Peel the skin of tapioca. Wash and cut into bite size pieces. 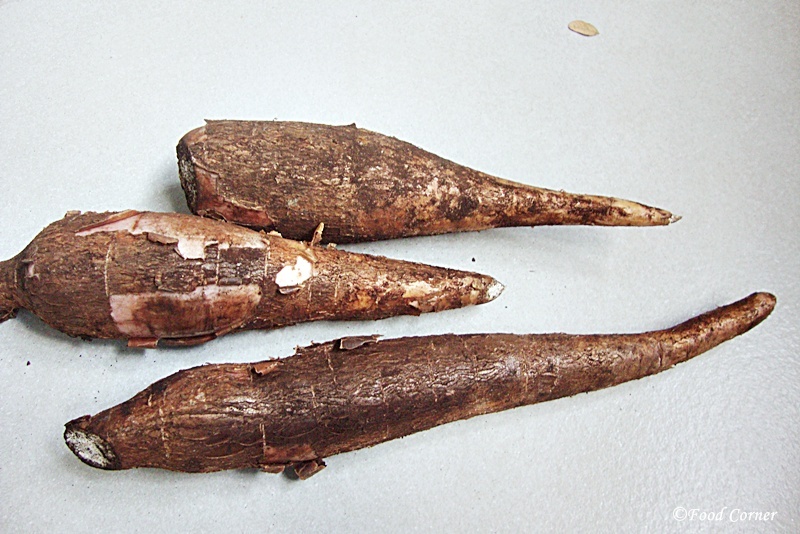 Remove any damaged parts of tapioca and do not use those. In a cooking pot (a clay pot is better), add tapioca. 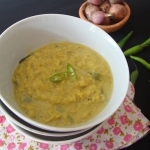 Add sliced green chili, sliced onion, turmeric powder, raw curry powder, fenugreek seeds, cinnamon, curry leaves and pandan leaf. Add salt too. Add thin coconut milk and cook till tapioca is well cooked. When tapioca is cooked, add thick coconut milk to it and allow simmering. Remember to stir to avoid any clumps. At the same time prepare the seasoning in another pan. At the time mustard seeds start spluttering, add sliced onion. When onions are tender, add crushed red chili pieces and curry leaves. Temper till the aroma emits and onion turns golden brown. When the seasoning is ready, add this over the Tapioca curry which was simmering. Mix the curry well. Adjust for salt. A delicious tapioca curry is ready to serve with plain rice. I didn’t know the the recipe Hambanthota kalu dodol, Niloofa shared and I saved was from is from you. 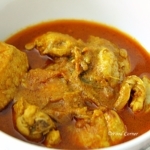 So glad to meet you Amila.I have never tried tapioca curry but will love to do, I see this in the market all the time. Thanks for the comment.Please try it.sure,you’ll like the taste. 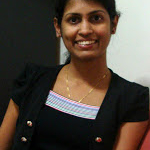 Tried many leading famous people like Mr. Pablis , Shantha etc. but couldn’t find a recipe to make a Tapioca curry. Finally found yours and going to try it. Thank you in advance for sharing this. Hope you’ll try this,cant be failed because this is how we normal home cooks cook curries in Sri Lanka. 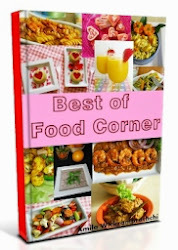 Keep in touch with Food Corner,I frequently share Sri Lankan recipes. In most villege cooking in Sri Lanka maniok is boiled in open pot after cleaning and the water must be thrown to avoid poisoning. Thereafter cooking is done. Also it is said that ginger should not be added as it becomes poison. Ginger tea should be avoided as a safety measure. Our village cooking is time tested. Any views on this? 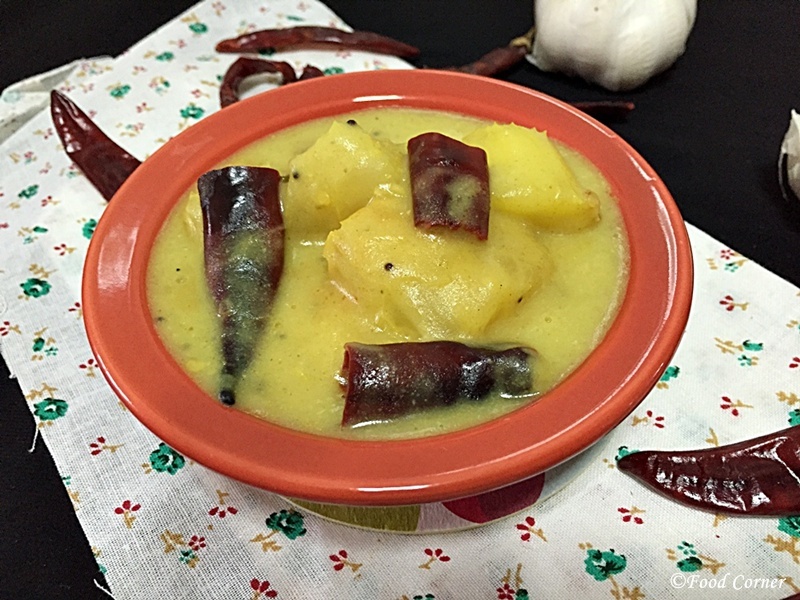 yes,even I practice these things to avoid food poisoning.I actually shared these tips in this post https://foodcnr.com/boiled-tapioca-with-chili-pepper-sambola-manyokka-samaga-kochchi-sambola/ and there is a mentioning at the beginning of this post. 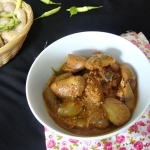 A very good tastier chicken curry we cooked according to your recipe . Glad you like the recipe shared here in Food Corner.